According to WikiPedia, Transport For London’s Tube map and "roundel" logo are instantly recognisable by any Londoner, almost any Briton, and many people around the world. The origins of the roundel, in earlier years known as the ‘bulls-eye’ or ‘target’, are obscure. While the first use of a roundel in a London transport context was the 19th-century symbol of the London General Omnibus Company – a wheel with a bar across the centre bearing the word GENERAL – its usage on the Underground stems from the decision in 1908 to find a more obvious way of highlighting station names on platforms. 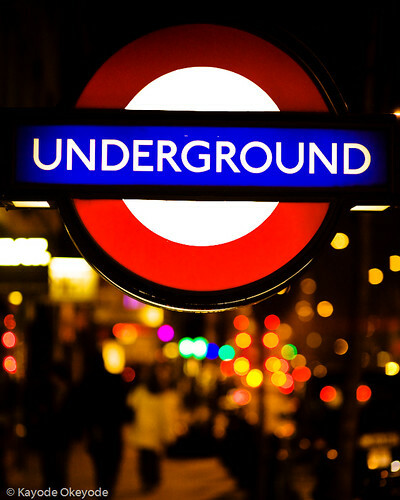 The red circle with blue name bar was quickly adopted, with the word "UNDERGROUND" across the bar, as an early corporate identity. This is one of the cooks at the Hung Tao Noodle Restaurant in Queensway, West London. 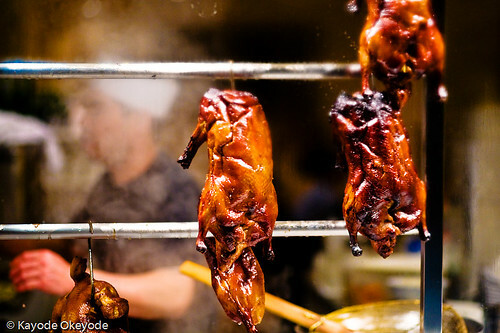 I was standing on the street when I shot this one and I saw a possible picture when the cook was engulfed in smoke. I also liked the contrast between his left hand and the rest of his skin tone. 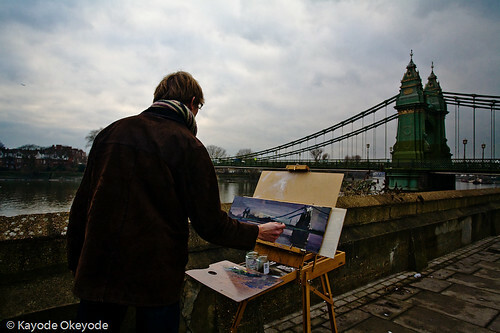 I’ve always wanted to photograph one of these artists. I asked if I could take his picture and he said "yes". 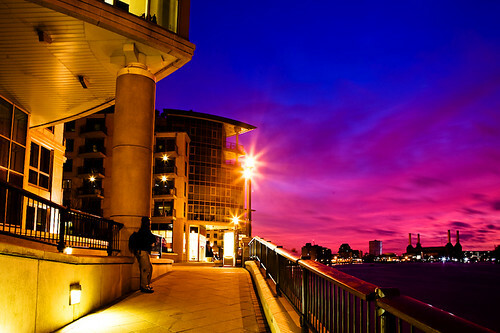 This is St George Wharf in London at Twilight. I was lucky to find myself in this area just when Nature was showing off its colors. The lone figure in the picture is me; the pose is unimaginative because I am not comfortable with having my picture taken. Battersea Power Station can be seen on the horizon. 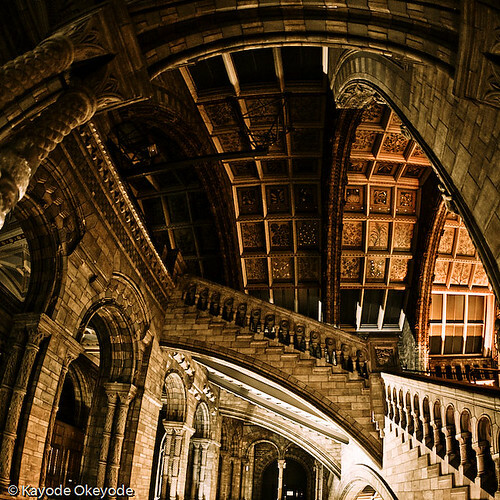 This is a picture of one of the arches of the Natural History Museum. The Natural History Museum seems like a place to explore architecture photography except that there were barriers everywhere at the time I visited and the lighting produced very horrible color casts (which have been removed in this image). It is not quite visible here at this small size but the roof of the building feature many relief sculptures of flora and fauna, with living and extinct species featured within the west and east wings respectively. (though I am not sure if this is the east or west wing). The Natural History Museum is one of three large museums on Exhibition Road, South Kensington, London (the others are the Science Museum, and the Victoria and Albert Museum). Its main frontage is on Cromwell Road. The museum is home to life and earth science specimens comprising some 70 million items within five main collections: Botany, Entomology, Mineralogy, Palaeontology and Zoology. 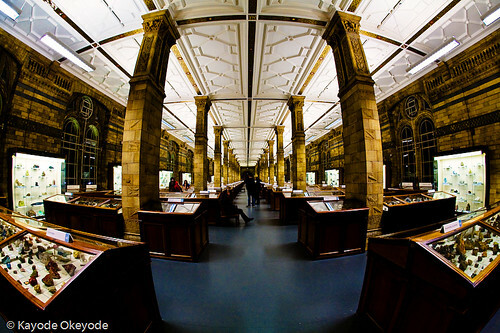 The museum is a world-renowned centre of research, specialising in taxonomy, identification and conservation. Given the age of the institution, many of the collections have great historical as well as scientific value, such as specimens collected by Darwin. the picture below is the mineral room on the first floor at the Natural History Museum; behind me is The Vault where the more precious stones such as diamonds are kept. The Vault is worth a visit but photography isn’t allowed in there. 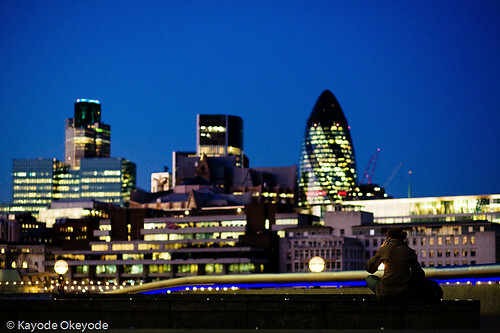 A young girl taking in the view of the City of London as the light fades. She was there long enough for me to try out a few ideas. Here, the focus was on the girl. 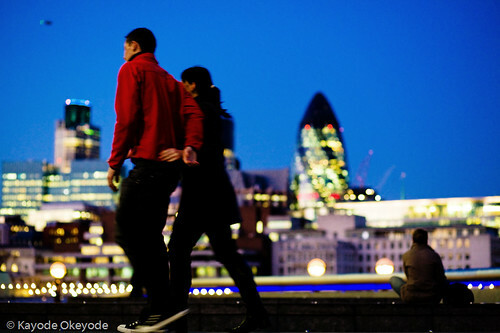 The next picture is of a couple who decided to pose for photographs while I was taking my pictures of the City of London. This rudeness happens a lot during the Summer months when the tourists visit London but this is a cold and windy day in January and I never thought I would see this. 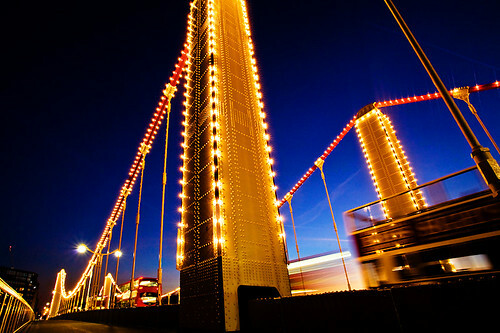 I like the picture and I wish I could have tried a shorter exposure in order to freeze their movements.